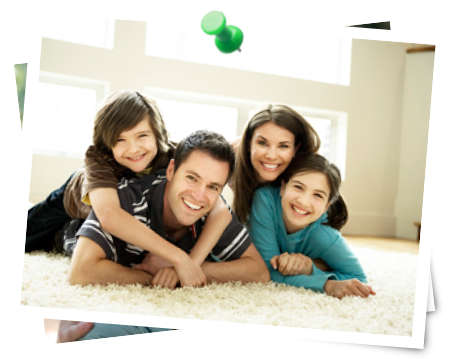 Dr. Cheryl Handley in Victoria is a family dentist dedicated to patient comfort and healthy smiles for the whole family. Welcome to the office of Dr. Cheryl Handley, a general and cosmetic family dentist serving Victoria and the surrounding area. We offer dental care for the whole family, treating all ages, from children to senior citizens, and enjoy interacting with our patients. Dr. Handley and her staff take the time to make sure you’re comfortable. Our friendly staff is compassionate, knowledgeable and efficient. We genuinely care about our patients and warmly welcome children. In 2015, OpenCare recognized Dr. Handley with the Patient’s Choice Top Dentist in Victoria award. At Dr. Handley's office, our dentists and hygienists offer general dental care such as routine cleanings. In addition, we also have cosmetic dentistry services including Clearline removable aligners, as well as more involved dental procedures like implants. Dr. Handley graduated from the University of Alberta Dental School in 1989. She relocated to Victoria in 2009 and has been enjoying practice in Oak Bay ever since. She resides in the neighbourhood with her husband and two teenage daughters. Dr. Handley’s dental office offers a comfortable and caring environment where we’ll get to know you. We’re dedicated to quality service and patient comfort. We like treating our patients like one of the family! The office of Dr. Handley currently welcomes new and emergency patients. Be sure to take advantage of our convenient location and free parking and come see us today. As someone who has worked in the dental field for 14 yrs, I can tell you that Dr. Handley is a very skilled dentist, who is not seeing $ signs in her eyes when she looks in your mouth. She is the only dentist who told me I didn't need the work that 3 others did (cosmetic) and could do the same thing for a lot less money, and she did. It is hard to get in to see her, so I always book way in advance for myself and my kids, and they book up to one year so it's no problem. She IS a very busy dentist, however, but she does get the job done AND she does it well! As for the assistants doing too much of the work, it's true that she does utilize her assistants, but they are very well trained in what they do and each of them work in their area of "specialty", and individually probably do a better job in their areas than she even could since they do them all the time, everyday and have been trained in those precise areas. This is a beautiful, well run practice...highly recommended! Regularly scheduled cleanings are an effective way to fight tooth decay and gum disease. Clearline is a clear aligner system designed as an alternative to conventional braces. Our goal is to make your child’s dental experience a positive one.